As I had zero luck on 3 occasions to use the lounge passes in Manchester Airport, I feel that the Gold card is a complete waste of time for me now. Shame, it has been a great way of collecting points in the last seven years. +1 – never been able to get in either with Lounge Club or Priority Pass, even when there was clearly space! I have mentioned this on cancelling gold and platinum but It seems to fall on deaf ears. -1 here. Tried once, got in. Was busy too. Maybe it’s because – according to my wife – I look like a smartly dressed London Town gangster. I just got a nice surprise in the mail: I got my new LLoyds credit cards and to my surprise, they (both the AMEX and Masterdcard) feature the Avios logo so I suppose I am still earning avios after May. The expiry date on this one is in 2022. Should I use these straight away or wait until May? No you’re not. The card is issued automatically. It will be cancelled in May, or the benefits will simply stop accruing. I still haven’t received the letter from Lloyd’s .. I haven’t either, where’s this May date come from? Interesting report on Radio 5 Live just now (also reported at http://www.moneysavingexpert.com/news/2019/04/appeal-court-revives-p14bn-mastercard-class-action/ http://www.theguardian.com/business/2019/apr/16/mastercard-court-ruling-paves-way-14bn-class-action and elsewhere) about a case Mastercard have lost in the Court of Appeal re allegedly excessive card interchange fees and the right for this matter to be heard by the Competition Appeals Tribunal. Talking of a possible payout of £300 per cardholder if Mastercard still lose the case in the end. I would have thought that if Mastercard do lose this case in the end that Amex (and also Visa) would be quaking in their boots about the likely implications. 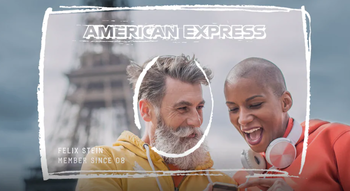 Or is Amex protected by the fact all its not own directly issued cards are not subject to a legal claim of this kind (due to Amex head office’s place of incorporation in the USA)? Personally I would have thought a class action law suit regarding ripoff foreign exchange rate levy fees by the majority of credit and debit card issuers was far more valid and had considerably more chance of success. Interesting report on Radio 5 Live just now about a case Mastercard have lost in the Court of Appeal re allegedly excessive card interchange fees and the right for this matter to be heard by the Competition Appeals Tribunal. Talking of a possible payout of £300 per cardholder if Mastercard still lose the case in the end. 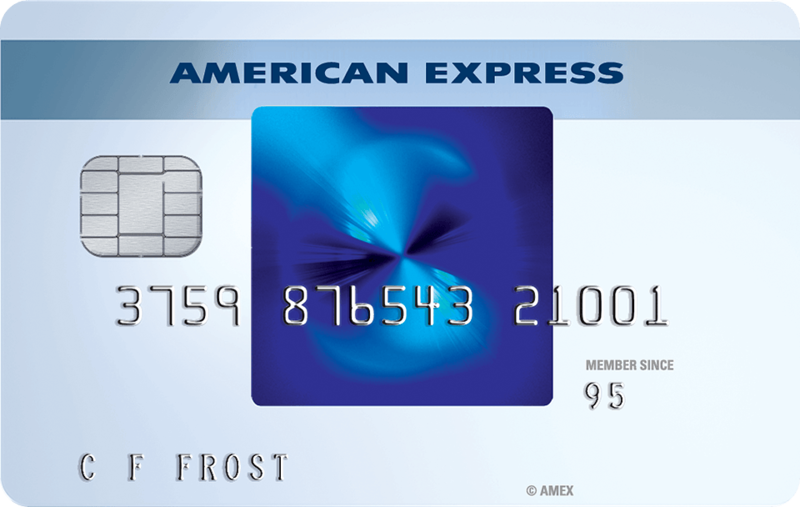 Amex should be immune because, despite how the EU rules have been interpreted, it doesn’t have interchange fees. You contract directly with Amex. The lawsuit is based on the idea that Mastercard and Visa (who, remember, take no credit risk on your purchases and simply route the transaction from the shop to the card company) have been abusing their market power. Wow. In that case Julian has a point about FX charges. I would love to see those challenged. Except that if they couldn’t rip us off for FX transactions the banks and cards would rack up other charges to compensate. On balance if I could be bothered I would use the tips on here to avoid FX charges completely. But I kind of view them as what I pay the bank for other services that are not currently charged for which I value. FX charges are prominently displayed during card application and they are applied by the card issuer not by MC or Visa. You have the option of not entering into a contract or avoiding fees by not using the card abroad. Furthermore, how do you prove 2.99% is a rip off charge? Would 1.99% or 1.50% be acceptable? Don’t get me wrong I’m not defending the Fx charges and I avoid them by using specialist cards but a lawsuit is highly unlikely. What I would like to stop is the DCC because it is often sneaky and confusing and appears designed to catch people out and tick that wrong box or press the wrong button. A much greater evil still however that should definitely be subject to a class action law suit is the total ripoff known as Dynamic Currency Conversion (DCC) where foreign cash machines in other countries (routinely in almost all cases I would say) and shops (in only some cases as some seem to recognise DCC as a ripoff they do not wish to participate in) try and encourage you to do your transaction in pounds (which the ordinary man in the street will tend to go for as it seems simpler) without telling you the actual exchange rate that equates to and/or having any other reference point like the current mastercard or visa exchange rate or the tourist exchange rate of some large bank in that country for notes and coins. In my view there should be a class action law suit against Visa and Mastercard (and also Amex if they also use this system) over DCC and the fact that it has been systematically used to make banks and overseas merchants vastly richer on transactions to the detriment of consumers. The average consumer definitely doesn’t understand DCC and the wording about the choice is usually deliberately confusing at most cash machines and at most shop card PIN entry or smart chip scanning terminals. All the EU need to do is to come up with a further directive banning any charge by a card company above x percent whether it is directly contracted with the card company or interchanged through an intermediary payment system operator like Visa or Mastercard. 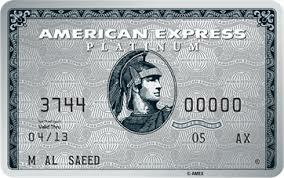 At that point Amex will be sunk in terms of its current business model in respect of EU card payment operations. The UK in co-hoots with the EU killed our co branded credit cards…. @:pablo DCC has been stopped by Mastercard, just a few days or so ago. I dunno. How about, FX transactions have very little risk if converted immediately, for the platforms converting them. How about, due to current interbank interest rate set by the Bank of England being 0.75%, it’s been easily possible for many years now to borrow money for all of 1 year at considerably less than 3%. The interest rate on a loan is intended not just to cover the lender’s interest costs, but also takes into account its risk of lending to you FOR A WHOLE YEAR. And yet, FX transactions, which can involve holding money at risk for not much more than a nanosecond, and not one year, are being charged at 3% by providers. I call that unacceptable and should be legally challenged as abuse of market by the providers. Only stopped on prepaid cards – and that was only because 90% of prepaid Mastercards are Revolut / Monzo etc which are designed to have 0% FX fees, so offering DCC is clearly in the worst interests of the consumer. I get a feeling this was done by Mastercard to see off any further claims. In theory it would not be rocket science to identify ALL cards which do not charge FX fees and block the offering of DCC. Let’s get something straight: although the UK wanted the legislation, it didn’t want Amex covered by it, as evidenced by the Government siding with Amex on the ECJ challenge. It mainly came down to bad drafting of the law. I’m a layman & I don’t think that at all. The referral/ sign-up bonus thing got too expensive in marketing terms. So they cut back a bit. It’s still generous vs most other cards, unless you’re thinking like a moaner/ whinger because it’s not quite as good as it used to be. It’s remarkable how some people are acting as if they have been wronged by the Amex changes. Just to be clear, they owed you nothing. The only people who arguably have any genuine cause to complain about the changes are those who, in the last few months, opened a paid platinum or gold having factored the old referral rates in to their assessment of the first year’s value to them…but even that is not really a cause for complaint, as the referral system is not a hard-wired benefit of the deal. Are the changes disappointing? Of course, but that doesn’t mean you’ve been mistreated. Everything AMEX (or your bank for that matter) does — is going to reflect on reputation and quality of relationship. “Hardwired” benefits or not. Say AMEX hikes an annual fee to £550 without adding to benefits in substantial way — next time you will think hard before applying for Platinum — if you don’t get more benefit (via travel insurance/lounge access for multiple trips, you probably won’t apply). I agree it can affect quality of relationship, and clearly it has already for the majority of customers who comment on here, but that doesn’t give rise to cause for complaint. Anybody who actually makes a formal complaint that they can’t churn anymore would not only have their complaints not upheld by Amex, but also by the ombudsman. I also can’t see any realstic prospect of success if complaining about referral bonuses, although I suppose it is theoretically possible depending on the exact circumstances and how well they describe them in a non-confrontational and humble approach. Don’t get me wrong, I dislike the changes. Of course I would bin the card if the fee went up without the benefits also increasing in a manner that I consider still results in sufficient value to me. But if it increased, with such notice as required by the T&Cs, and I decided to cancel, then I wouldn’t have cause for complaint…only cause for being disgruntled. I had just had an email from AMEX to refer my friends for 6,000 MR points. Thanks for reminding me of your devaluation! It’s like rubbing salt into a wound. Which other cards give you 6K MR equivalent for a referral? Apologies if this has already been covered but I have a query about referral bonuses. Prior to the recent reduction of referral points I emailed myself a referral link from my Platinum Card. Using this link I have now just self referred for the Nectar Card. I appreciate that I won’t get any welcome bonus (should have done so sooner!!) but presume I will get the 1000 nectar point referral bonus? Also given that I used a link which was valid prior to the latest referral devaluation do you think I continue to have a good chance of getting the 18k referral bonus rather than the new lower referral bonus of just 12k? Although not guaranteed I assume the loophole of self referral remains open? My application has been accepted so guess will just have to see but I would welcome the experiences of others. I sent a referral code to someone before the devaluation. It is exactly the same link as is generated now if I want to refer someone. I assume therefore that the old link will thus only give the new referral bonus now, not the old. Yes. The old links show the new bonus now anyway. why does everyone discuss in open forums all of the things than amex will look to block next? Presumably, because they would like them blocked. The UK and Europe accounts for a very small amount of their income. So much so they have all but given up on their top tiers cards in the UK – can’t even manage a roll out of metal Platinum cards. Nevermind some real perks or offering a decent travel insurance policy. I don’t know whether this is a serious comment or not?! Metal card, fair enough it’s a nice gimmick, and they’ve rolled them out elsewhere, but seriously? The travel insurance is still pretty good, even with a few extra hurdles, especially bearing in mind that the main elements don’t have the limitations of having to pay with the card, and their claims process is pretty quick and efficient. Supermix spoken from the viewpoint of Global AMEX, and it is true. Brighton processes and systems were “dated”, a lot of bonus awarding was manually or batch- implemented by back office in India. I remember that nice messaging facility where you could communicate to those back office people, and they invariably obliged. Then global AMEX restructured their offshore operations, and UK AMEX was pretty much cut off from control of back office — they take what is processed for them. Brighton are takers — of processes, controls, and if global decides servicing their cards (UK AMEX card) out of Philippines including account opening. The new AMEX UK website is what US had for years. The AMEX insurance is rubbish IF you have any pre-existing medical conditions. The fact that you can’t even pay a supplement to cover those conditions makes it absolutely useless for quite a few (including me). If you assume they paid out 1p for every bonus Avios or MR point you ever earned, you will work out very quickly they will be hugely better off. They were literally paying out £2,000 per year for every couple which was churning a Gold and a BAPP every 6 month, each, and cross referring. Interestingly, these latest changes mean that the difference between the Gold and Platinum sign-up bonuses is now exactly the same as the the upgrade bonus from the legacy Gold card to Platinum: 20,000 points. I wonder if this is a prelude to a platinum ‘upgrade’ offer targeting holders of the new-style Gold card?